Bought it from David's Bridal. 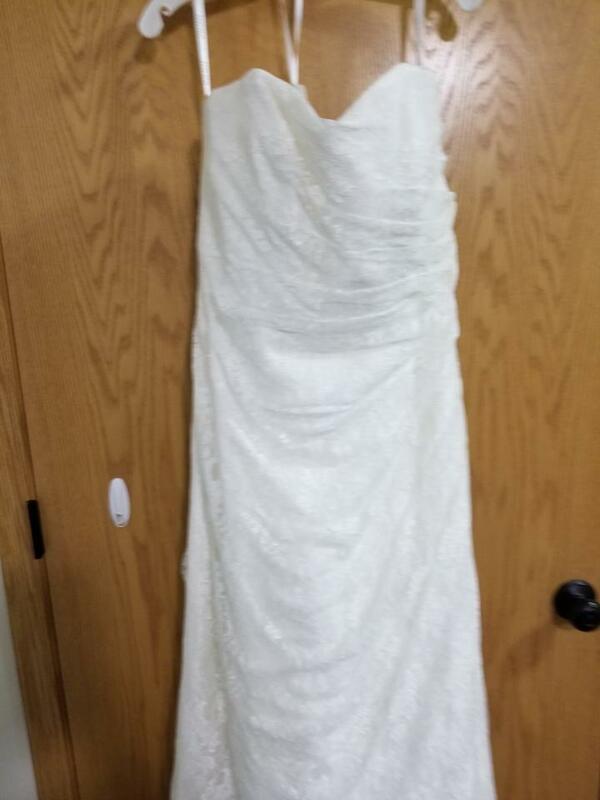 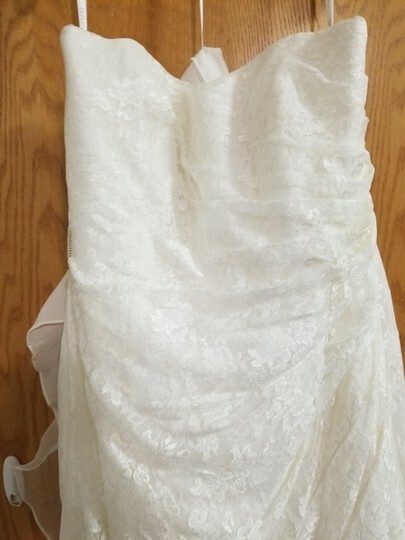 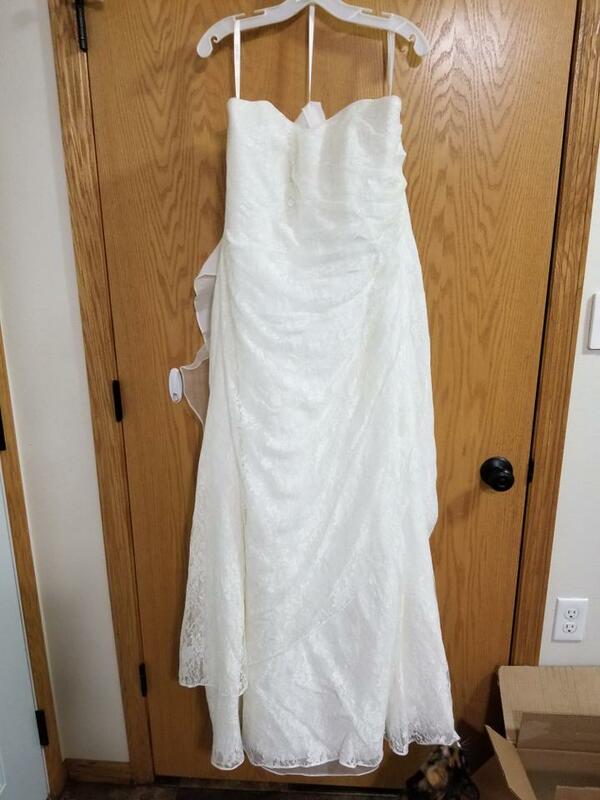 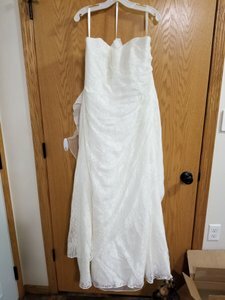 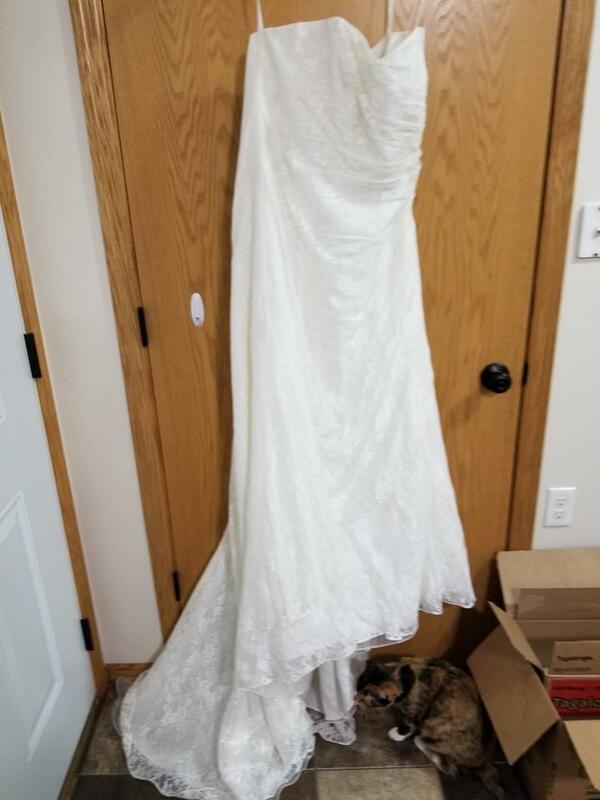 Never used, size 18W, strapless, ivory colored, lace, with a small train. 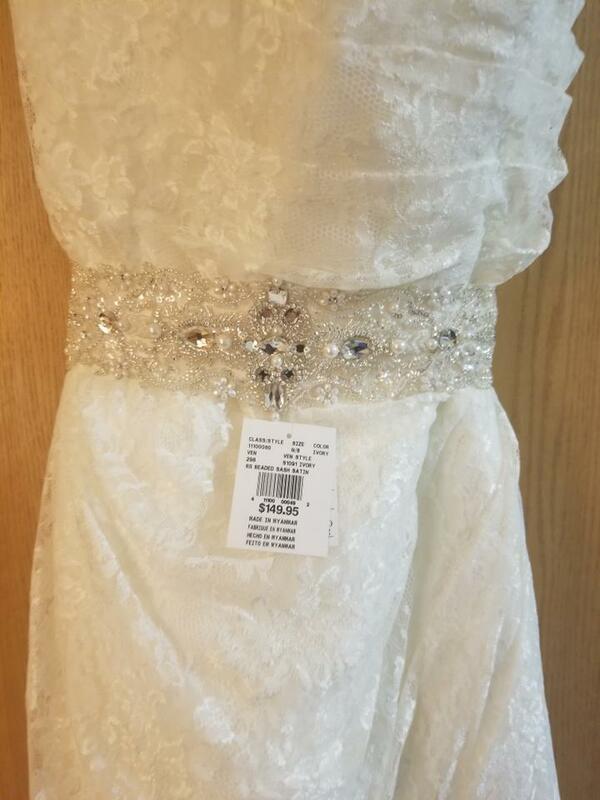 I have a beautiful ivory beaded satin sash for the middle of the dress that goes perfectly with it for extra. 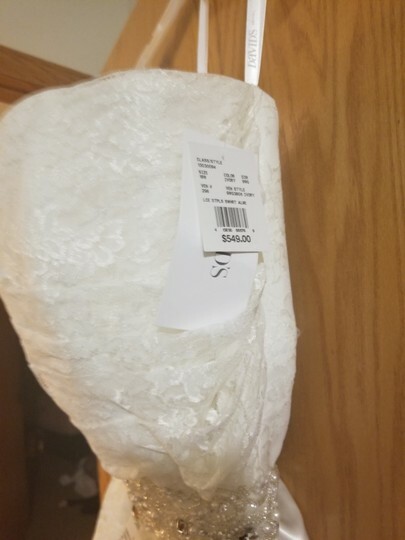 KB Listed by: Kayla b.